We talk a lot about safety. As personal injury attorneys, we feel confident in offering tips for people who want to avoid accidents. While many of our posts are filled with common sense tips, sometimes we run across information in our research that borders on humorous. While no accident is ever a cause for laughter, some do make you shake your head and wonder just how they happened. According to some experts, there are five holiday accidents that are more common than you may imagine. Holiday crackers are more popular overseas than they are here at home, but they can be quite dangerous. Made of paper and filled with gifts, these traditional items are pulled apart to reveal their contents. Seems easy enough, unless you are one of the three people that break their arms each year while pulling them. Ugh… pins. If you have ever gotten a new shirt, you know the danger that these little poking pieces of metal present. More than 200 people get medical attention each year because they missed a pin or two before putting on their new shirt. Many a child, and even an adult, has put their tongue on a battery at some point in their life. Don’t. It is rare, but over the past decade, 27 people have died from licking batteries. If you don’t know how to use a box cutter or scissors properly, put them down. Hundreds of people are admitted to the hospital each holiday season after cutting themselves while opening gifts. Holiday chocolates are disguised as all sorts of things. Some look like presents, while others look like toys. Know what you are eating before you put it in your mouth. Several years ago, two people lost their lives because they ate decorations they thought were chocolates. These accidents may seem silly, and you may even have chuckled a bit. If they happened to you or a loved one, they may not seem so comical. Keep your wits about you this holiday season and be mindful of risks and dangers that seem nonconsequential. Accidents can happen and even the smallest of mishaps can cause severe injury. If you are injured during the holidays, you may be entitled to compensation under the law. Call our personal injury attorneys today and let us review the facts of your case at no charge to you. We want to help you move on with your life. Call now. Holiday movies are a tradition for many families. One of the most popular families depicted in these movies is the Griswold family. We love to laugh at their mishaps and roll our eyes at their misadventures. Unfortunately, what is funny on the big — or small — screen is not always funny in real life. As exaggerated as the Griswolds’ situations may be, they have a grain of truth to them. If you want to have a safe and happy holiday season, avoid these mistakes. 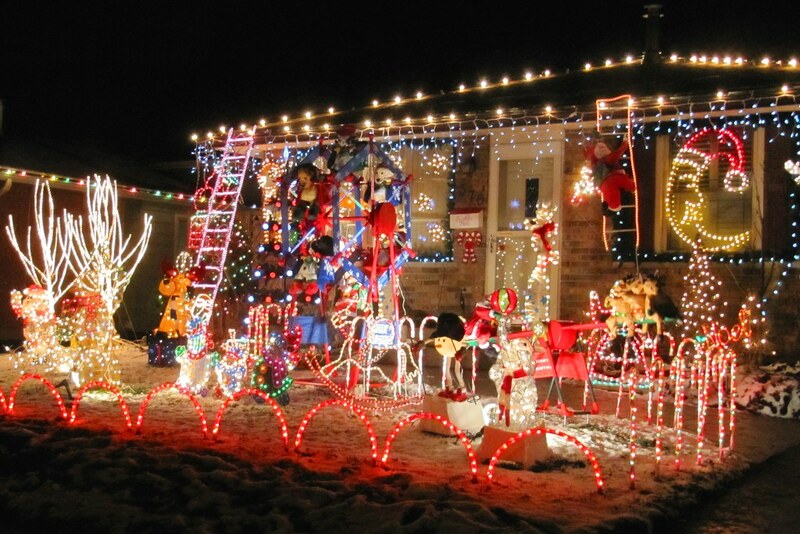 Many people light up the outside of their homes for the holidays. If you count yourself among the masses, do yourself a favor: Use outdoor extension cords. Indoor cords are not meant to be used outside. They are not weather- or waterproof. Also keep in mind that extension cords are not meant to be used for hours on end. Turn off the lights when you go to bed. Candles can make our homes smell wonderful, and the flickering lights can be relaxing. Do not forget to blow out candles when you go to bed or leave the house. If you do light candles, make sure they are in proper holders. A tipped over candle in the wrong spot can cause a whole room to go up in flames. We have all heard the warning about the dangers of tree lights, yet many of us fail to heed them. There is no sense in leaving the Christmas tree lit when you aren’t awake or home to enjoy it. Unplug the lights unless you are having company or are awake and near the tree. Do not put decorative items on your roof if there is a coating of frost or ice on your shingles. This is incredibly dangerous. If you are going to put displays on your roof, do so when the sun is out and the roof is clear. Also make sure that someone is home or out in the yard keeping their eye on you. We can all laugh at the Griswold family, but no one laughs when it happens to them. Keep your wits about you this holiday season and use a bit of common sense. Your health and safety could depend on it. If you are injured this holiday season while visiting friends or family, call our personal injury attorneys today. You may be entitled to compensation by law. Call now and let us review the details of your case for free. A construction worker was critically injured after falling 20 feet from a scissor lift to a concrete floor on Wednesday. According to authorities, the 45 -year-old worker fell in an industrial incident at a facility located in the 1800 block of Highway 5A in Canada. He was transported to Royal Inland Hospital where he later underwent surgery. Work Safe B.C. and the Kamloops RCMP have launched a joint investigation which police say is ongoing. When you or a loved one has suffered a serious injury on the job, it can be an agonizing experience not just for the person who has been injured, but for their family as well. With the high cost of medical treatment, and the potential loss of income for being off the job recovering from their injuries, the bills can pile up quickly. While the money awarded in a worker’s compensation settlement can give some relief to injured workers and their families, more often than not, it is nowhere near enough money to cover all expenses incurred after an accident. That’s when having a qualified and experienced attorney working for you can help you get the compensation you deserve. Before signing any sort of statement with either your insurance provider or your employer, call the law offices of Auger and Auger first. When you call, we will schedule an appointment for you to meet with an attorney about your on the job injury. We can serve as your point of contact when dealing with insurance companies and all other legal entities so that you can concentrate on your recovery. Give us a call and speak with us today. We can help. Your initial consultation and legal analysis are completely free. The holidays are a time of year when we gather with friends and family and celebrate the things that we hold dear. The holidays are also a time when unique situations present the possibility of injury and accident. Follow these tips to keep the inside of your home safe for your family and friends this season. Keep your kids and pets in mind when you decorate the tree. Little ones will want to grab shiny ornaments and pets will want to play with tinsel. If you have breakable ornaments, put them towards the top of your tree. Keep larger, plastic ornaments towards the bottom where little hands can reach. Everyone loves beautiful holiday lights. Check them regularly, especially if you have kids and pets. Make sure they are plugged in properly, make sure the cords are not frayed, and be sure that no connections are loose. There are several types of plants that can be toxic to humans and pets. Mistletoe berries, Jerusalem cherries and holly berries are poisonous in certain amounts. If a child or pet eats a piece of a toxic plant, contact the proper medical professionals immediately. You can also call the Poison Control Center at 1-800-222-1222. When buying toys for your little ones, make sure that they are safe. Read warning labels and instructions. Scour the Internet for current recalls. Toys made for children have age recommendations on the box or bag. Be sure to check these and buy toys that are age-appropriate. If you buy decorations or toys that use button batteries, keep the loose batteries away from children and animals. These tiny batteries may look innocent enough, but they are choking hazards. If you are going to let kids help with the cooking and baking, take the time to give a lesson on kitchen safety. Don’t assume that your children know to use pot holders, hold things with two hands, or even how to use utensils properly. Children do not know these things unless they are taught. The holidays should be a time of joy and merriment. Make sure that you follow these tips to keep your home safe for the holidays. Your whole family will be the better for it. If you are injured this season, our personal injury attorneys are here for you. Call our offices today for a free initial case evaluation. We will advise you how to best proceed after we are able to review the details of your case. Call now. Throughout the country, fall is hunting season. Hunters are donning their camouflage and flare orange safety gear and heading into the woods. There are also a great deal of people that are simply heading outdoors to enjoy the crisp, fall air. While hunters are typically well-versed in the safety of the season, non-hunters may be a bit wary as they head into the forest and onto bike trails. Follow these safety tips for non-hunters to make sure that you and yours fully enjoy the outdoors. Do not sneak around in the woods. You don’t need to stir up every animal in the forest, but hunters should be aware of your presence. Talk in a normal tone of voice, whistle or sing. 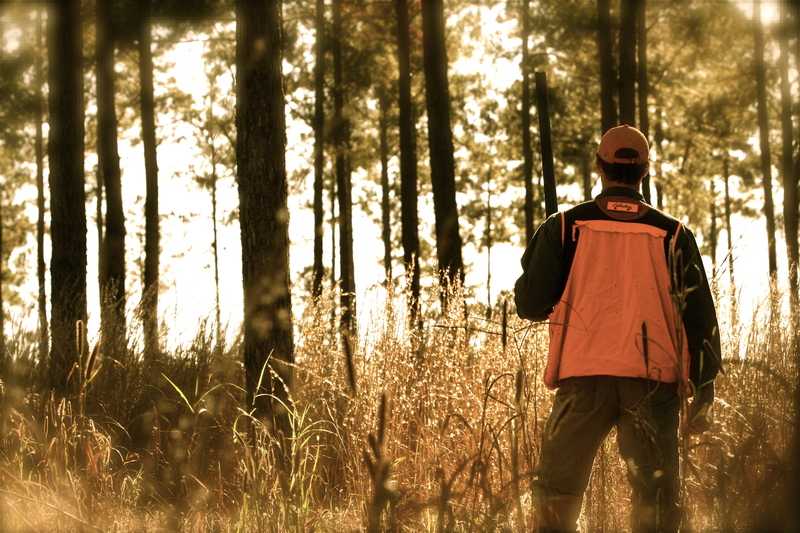 Hunters wear bright clothing so that they can see one another, and you should, too. Make yourself as visible as possible. Fluorescent yellow, green or orange are your best options. Avoid colors that will make you blend in with the trees. Know when hunting season is being held in your area. Know the times that hunting is permissible. This can help you avoid certain areas and know when it is safe to enter others. If you should hear shooting nearby, call out. A responsible hunter will want to know that you are in the woods. Once the hunter acknowledges your presence, be courteous and do your best not to scare the animals away. If you do not feel entirely comfortable in the woods during hunting season, go where hunting is not allowed. National and state parks do not always allow hunting and are safe for you and your family during the season. Make your dog visible if you are taking it into the woods with you. Tie a bright bandana around its neck or put a bright dog sweater or vest on it. You do not have to avoid the woods during hunting season, but you do need to know how to keep yourself safe. Follow these tips to share the great outdoors with hunters without the need to worry about being injured. If you have suffered an injury at the hands of someone else, you may be entitled to compensation. Call our personal injury attorneys today and let us review the details of your case at no charge to you. Call now. If you drive tired, stressed, depressed, annoyed or angry, you are a distracted driver. Many people don’t consider that emotions can take a toll on the way that we drive, but they most definitely do. If your mind is occupied by anything but the task of driving safely, you are distracted and pose a danger to yourself and others on the road. Here’s what you can do. You get into the car just moments after getting bad news. You get into an argument with your teenager just seconds before you get behind the wheel. Before you head off down the road, take a few deep breaths. If that doesn’t work, get out of the car and take a brisk walk down the block. You may think that you don’t have time, but you’ll be even later getting to your destination if you get into an accident. 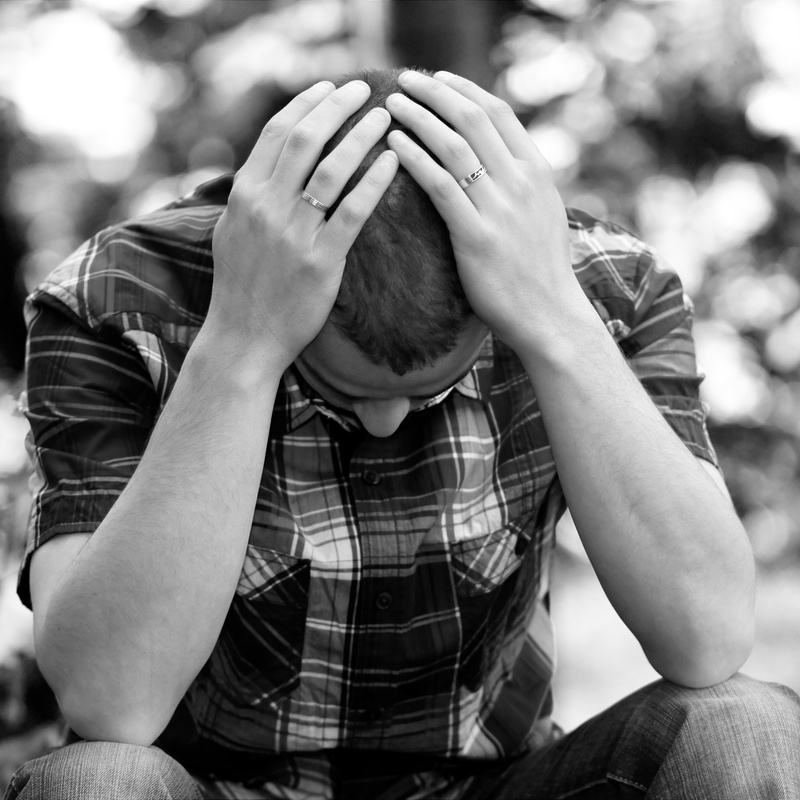 There are a few steps you can take to rid yourself of depression so that you can drive. One such step is working to focus all of your energy on the road ahead. Turn on the radio, listen to a humorous audiobook or tune into talk radio. Do something that will help you focus on driving. If you find that you simply cannot concentrate on the road, consider getting a ride or opting for public transportation. It’s not unusual for people to feel generally hurried or impatient. We run late and all of a sudden find ourselves leaving our houses 10 or 15 minutes after our normal time. If being hurried starts to happen to you more often than not, adjust your schedule. Plan on leaving before you need to. You will be less likely to get frustrated with slow drivers, heavy traffic or even backups. Research has shown that people in the grips of emotion operate their vehicles in a similar manner to those that are intoxicated. Reaction times are slowed, they fail to recognize dangerous situation as quickly as necessary, and they lose precise or subtle driving skills. If you are feeling emotional, take some time to steady yourself before you get behind the wheel. If you or someone you love has been injured in an auto accident, you may be entitled to compensation by law. Call our offices today and let our personal injury attorneys review the facts of your case. We will advise you how to proceed. Call now. If you have visited any big box store in the recent weeks, one fact is glaringly obvious: The holidays are here. As happy and joyful as the holidays are meant to be, they are also stressful and, for some, full of anxiety. We tend to overstretch ourselves during the holidays and quite easily overdue it. If you don’t reign it in, you not only deal with stress, but you put yourself in danger of causing or being involved in an accident. No matter how many invitations you accept, let the weather dictate how many parties you will attend. If the driving conditions are hazardous, kindly give your regards and stay home. Do not feel guilty about not being able to attend a get together, and do not feel so pressured that you take chances on roads that are better left untraveled. Do you have to spend Thanksgiving with your extended family? Of course not. Some experts suggest thinking outside the box and postpone some celebrations for after the frenzy of the holiday season. You can turn any night into Thanksgiving. You can travel to visit family after your own celebrations are over. When you celebrate before or after major holidays, you are less stressed and less hurried. Who hasn’t had to undo a notch on their belt after a festive holiday meal? 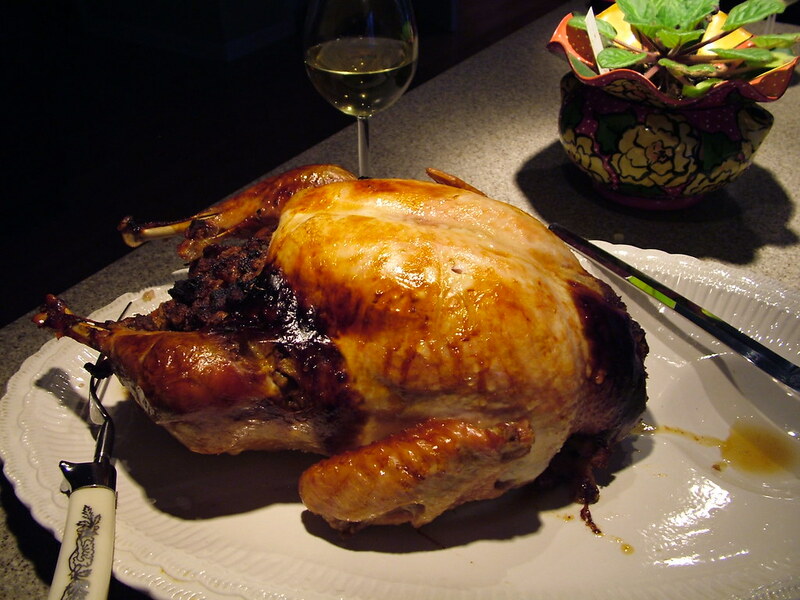 It is easy to overindulge during the holiday season on food and alcohol. If you know that you will be attending a celebration where alcohol will be served, limit yourself to one drink. The holidays see more intoxicated drivers than any other time of year. Keep your wits about you and remember that you have an obligation to drive safely. If you partake in a bit too much spiked eggnog, call a cab or spend the night on your host’s couch. One of the biggest stressers of the holiday season is money. We spend too much and when we run out of cash, we charge it. Come January, many of us experience post-holiday blues in the form of piles of bills and an empty bank account. Instead of putting yourself under that kind of stress, consider giving your time instead of tangible gifts this year. Offer to take your grandmother out one Saturday each month, or visit your uncle every other Sunday and clean his house. Take your brother’s new baby every Friday night and give him and his bride time to themselves. There are so many things you can do that will be far more beneficial than yet another sweater. Don’t stress yourself out this holiday season. Emotional driving is distracted driving. Hurried driving can lead to accidents, and drunk driving is never a smart decision. You can get through the holidays safely by being proactive and using a bit of common sense. If you have been injured in an automobile accident, our personal injury attorneys are here for you today. Call our offices now for a free case evaluation. We want to help you and your family put the pieces of your your lives back together. Call now. Road rage is never a good situation to find oneself in. However, a quick thinking motorist in Conover, North Carolina used the camera feature on his cellphone to capture video footage of a road rage incident that unfolded right in front of him. Dustin Curtis posted his video on his Facebook page and also took it to local authorities. The incident happened while Curtis was on Highway 70 last week when he witnessed two SUVs apparently trying to cut each other off in traffic. While he was watching he thought that the situation should be recorded so he grabbed his cellphone and started shooting what was happening in front of him. Shown in the video clip is a white Blazer and a black Lexus SUV driving around each other with the drivers occasionally slamming the brakes. According to witnesses, one driver cut the other off, and they pursued each other for more than a mile. “The incident ended when one vehicle, the black Lexus SUV pulled in front of the Blazer, causing an accident. The vehicles collided then both spun out in the roadway. The drivers confronted each other but there was no assault between the two drivers. One of the drivers asked Curtis to hand over the cellphone video, but Curtis refused and gave it to police instead. Police in Conover have filed charges against both drivers. The two motorists are identified as. Ryan Gregory, 23, of Hudson, and Jeffrey Burkey, 64, of Davidson. The two drivers were cited and given a summons to appear in court on reckless driving charges. Thankfully, no one was hurt in this particular incident. Aggressive drivers put other motorists at danger when they act out their aggression behind the wheel. Taking out stress, anxiety or anger on other drivers is never the right solution. With drivers focused solely on their anger and who was “right”, this situation escalated into something that could have potentially turned tragic. If you or a loved one has been involved in an accident that is when you need an attorney to give you sound advice. An experienced attorney will fight on your side and will give you advice on how to handle your specific situation. Before you talk to an insurance claims adjuster or anyone else after an accident, call the offices of Auger & Auger. At Auger & Auger, we are focused in all areas of both accident and personal liability law. Our attorneys know just what needs to be done in a personal injury or accident case. Have someone on your side that will fight for fairness and get you the settlement you deserve. Call us today for a free initial consultation about your case. Here is a simple truth: Dog bites are dangerous Whether you are bitten by a pit bull or a dachshund (the most aggressive breed, surprisingly), a dog bite can be disfiguring, not to mention incredibly painful. As the holidays approach and you begin planning your celebrations, it’s important to remember that dog bites can be prevented. Especially when the dog is your own. No matter how friendly your dog is, the stress of the holidays can bring about behavioral changes in your animal. With the fast pace of the season, your dog can easily become stressed or even frightened. The friendliest dog may lash out due to a mood change or a perceived need to protect itself. Do yourself and your guests a favor by learning how to read your dog and take the appropriate steps to keep everyone protected. Dogs are creatures of habit. You know this. Think of how many times your dog has woken you up just a minute before your alarm has gone off. Think of how often your dog runs into its kennel when it’s time for you to go to work. Dogs love routine and predictability. Try to stick to your dog’s routine as much as possible during the holiday season. If you are going to be having guests for the holidays, consider putting your dog in its kennel while people are in your home. Your dog can get overwhelmed quickly if it is not used to having a house full of people. Your dog’s kennel is its safe place. Talk to family and friends before they arrive. If your dog does not like its ears touched, make sure your guests know it. If your dog gets a bit touchy about having its tail pulled, speak up. Your dog should never be subjected to or forced to tolerate things it doesn’t like. If you do not have a kennel for your dog and you are worried about the stress it will be put under during your holiday gathering, consider a boarding kennel. You may feel a bit guilty at first, but consider that your dog and your guests will all be safe. A boarding kennel may be the perfect answer for everyone. You may have the friendliest dog in the world, but even friendly dogs can lash out when stressed or provoked. Take steps to keep your dog as stress-free as possible during the holiday season. You, your dog and your guests will all be the better for it. If you have suffered a dog bite, you need a personal injury attorney on your side. Call our offices today for a free case evaluation. Our team of attorneys is here for you. Call now. When most people think of slips and falls and a specific season, they think of winter. It’s important to know that there are two major culprits of slip and fall injuries surrounding us right now. Firmly into autumn, leaves are falling and daylight is reduced. Either of these things can greatly heighten your chance of a slip and fall injury. Here’s how. Not only are leaves coating the ground and making it difficult to see what we are walking on, but they can fill holes, dents and divots. If you are walking on unfamiliar sidewalks, consider carrying a walking stick or some type of pole. Tap the ground in front of you as you walk to find uneven areas before you twist your ankle walking over them. Wet leaves can also be dangerous. In fact, wet leaves can be as dangerous as ice. Wet leaves are also difficult to rake. The safest thing you can do is to clear leaves from your walks and driveways as soon as possible. With daylight savings time, you may be faced with glaring sunlight directly in your eyes as you drive to and from work. Grab a good pair of sunglasses and use your sun visors. Sun in your eyes can make it almost impossible to see what is in front of your car as you drive. You will also find that autumn brings with it reduced visibility as day time is shorter. Businesses and home owners may not have prepared well. This can cause lighting to be insufficient where you walk. Be careful on sidewalks, stairways and decks. If you can’t see where you are walking, walk more carefully to prevent falls. As a home owner, be sure that your own property is ready for fall. Regularly rake leaves as they fall. Make sure that all of your exterior lights are in working order and if they aren’t, be sure to get them repaired. Any cracks or breaks in your concrete or blacktop should be mended before the snow falls. Take a walk around your property and perform general maintenance as necessary. 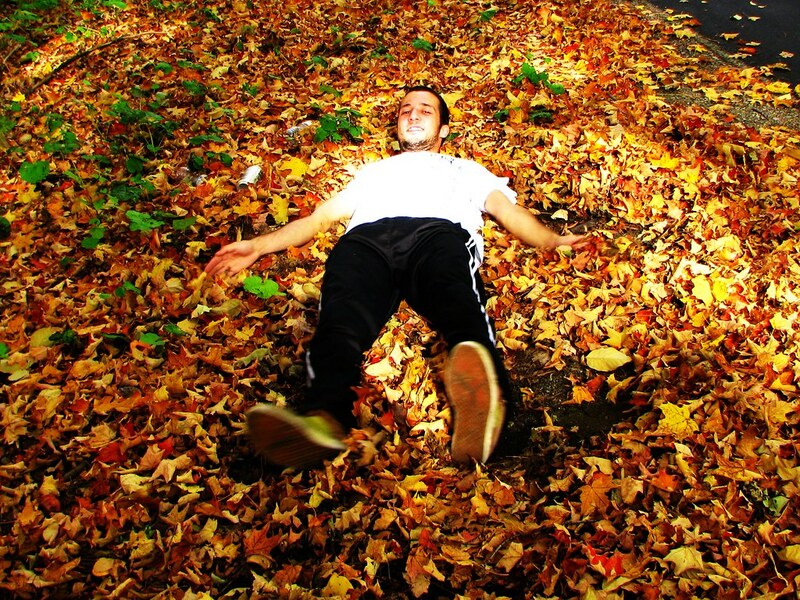 Doing these things will help to ensure your safety and that of others during the fall season. If you have been injured in a slip and fall accident, a personal injury attorney can help you get the compensation you may be entitled to by law. Contact our offices today for a free review of your case. We will help you get any compensation that you are due. Call now.